When analyzing your manufacturing costs this automatic fabrication center is a wise solution. You can drastically decrease your scrap material costs with 98+% accuracy as a result of an integrated weld seam detection system. The hopper loader can speed up your overall process and reduce labor costs. The twin head bender is completely programmable allowing you flexibility. This automated process allows you to make repeatable bent parts with just one operator. 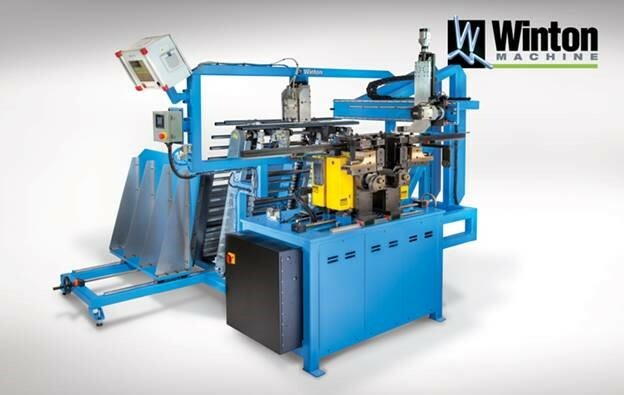 Dual Head Bender w/Auto Loader & Weld Seam Finder from Winton Machine on Vimeo.